Had the former finance minister P Chidambaram been the Home Minister during the UPA regime which decided to send Parliament attack convict Afzal Guru to the gallows a year before the 2014 General Elections, we might not have seen the upheaval in JNU. Why? Because according to Chidambaram, Afzal Guru didn't deserve to be handed the death sentence. Life imprisonment without parole would have sufficed. "There were grave doubts about his involvement (in the conspiracy behind the attack on Parliament and even if he was involved, there were grave doubts about the extent of his involvement. He could have been imprisoned for life without parole for rest of his natural life." Sushil Kumar Shinde was the Home Minister when the decision was taken. According to Chidambaram, as he wasn't the Home Minister at that time, he doesn't know whether he would have acted in a different manner. "But being in government you cannot say the court has decided the case wrongly because it was the government that prosecuted him. But an independent person can hold an opinion that the case was not decided correctly," he added. This is not the first time that Chidambaram has criticised his government's action in hindsight. Twenty-seven years after the then Rajiv Gandhi government banned Salman Rushdie's controversial novel 'The Satanic Verses', former Finance Minister has said in November, last year that it was a "wrong" decision. "I have no hesitation in saying that the ban on Salman Rushdie's book was wrong," Chidambaram had said speaking at the Times LitFest in Delhi. On the JNU fracas, Chidambaram said that students should have the right to say anything. "It is an age where students have the right to be wrong", he told ET. The unrest in JNU and some students including JNUSU President Kanhaiya Kumar being slapped with sedition has its genesis in a 9 February event organised on the campus in memory of the hanging of Afzal Guru. The line of thought that has invited ire of the ruling BJP is that the event was named: "Judicial killing of Afzal Guru". The BJP has maintained that Guru had every legal aid possible at his disposal before the highest court of the country, the Supreme Court, decided to uphold his death sentence. 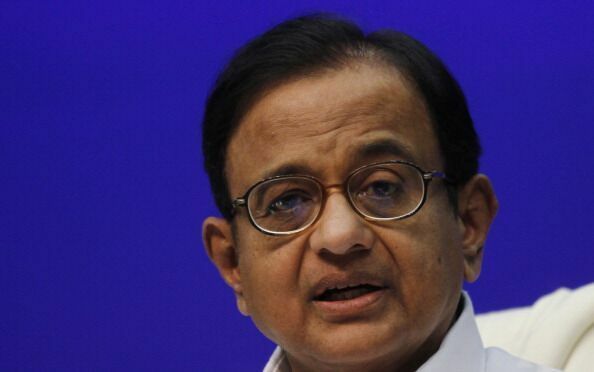 The party questioned Chidambaram's new found "sympathy" for Guru. "I haven't read the report yet. Chidambaram ji had served as the home minister of the country and execution took place during their (UPA) regime. The then government gave its nod to the same. Why this new sympathy all of a sudden? Naidu told the media when asked to respond on Chidamabaram's remark on Afzal Guru.